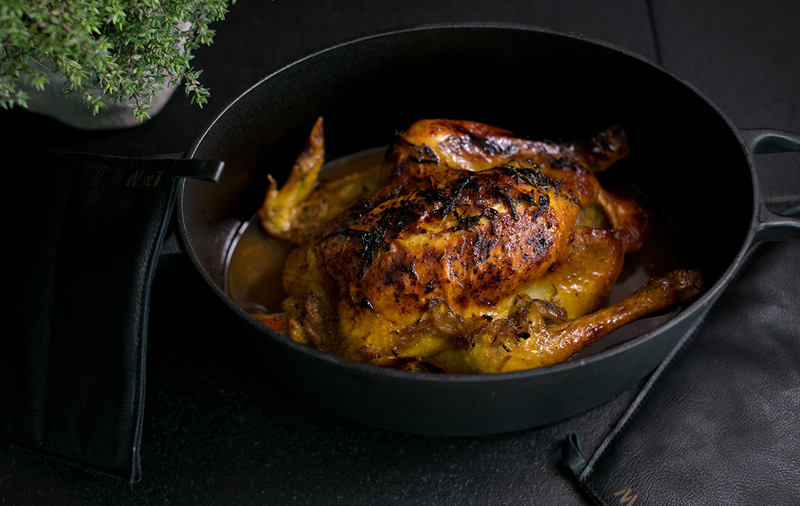 This is a new version of my Mothers Roast Chicken, with tiny twitches and bright new ideas. 1. Preheat the oven to 160°C (320°F). Cut the lemon into quarters. Rub the outside of the chicken with one quarter, and discard. Put the remaining 3 lemon quarters inside the belly of the chicken. 2. In a bowl, combine lemon and zest, stock honey, mustard soy sauce, and ginger, garlic and thyme. 3. Place the chicken in the casserole dish, breast side up, and season with salt and freshly ground pepper. 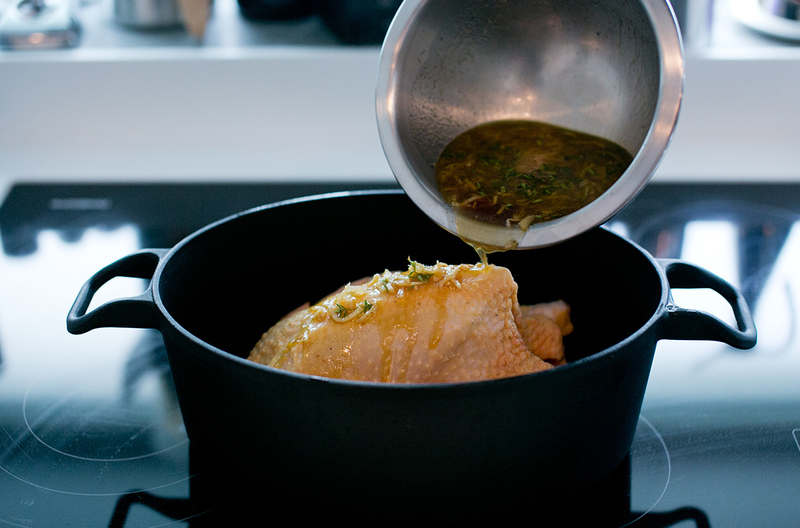 Pour the citrus juice mixture over the chicken. 4. 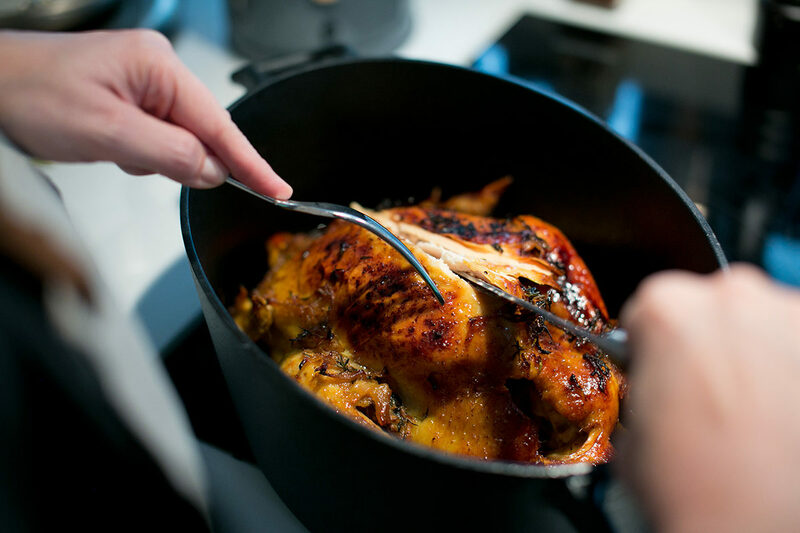 Cover the casserole with its lid and place the chicken in the oven. Roast for 13/4 hours basting occasionally with pan juices. Increase the heat to 180°C (350°F) and cook for another 20 minutes. 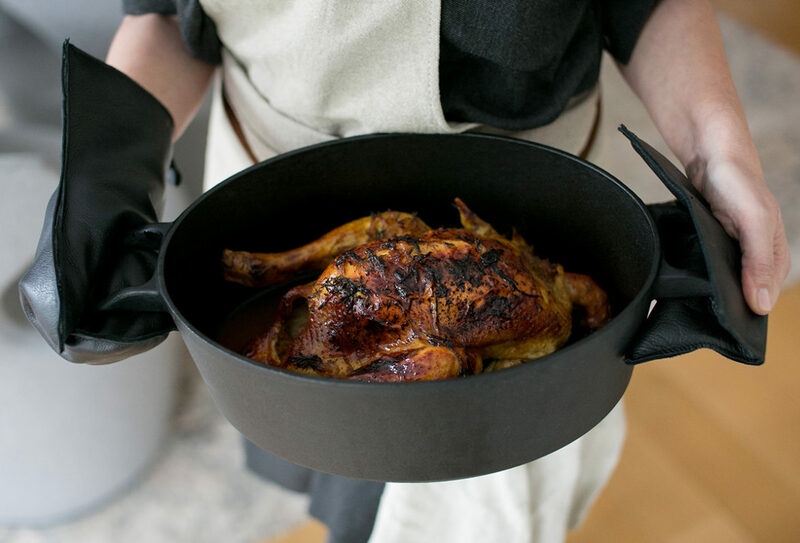 During the last twenty minutes of cooking, remove the lid and allow the chicken to brown. 5. Transfer to a serving platter and let it rest for 10 to 15 minutes. Carve the chicken in thin slices and serve with fluffy rice and pour the sauce over.